Banja Luka, Bosnia- On an unnaturally warm summer's evening, I walked down the main road, heading north toward the outskirts of the city. The sun was approaching the horizon and the shadows were growing long, but the city was still buzzing. 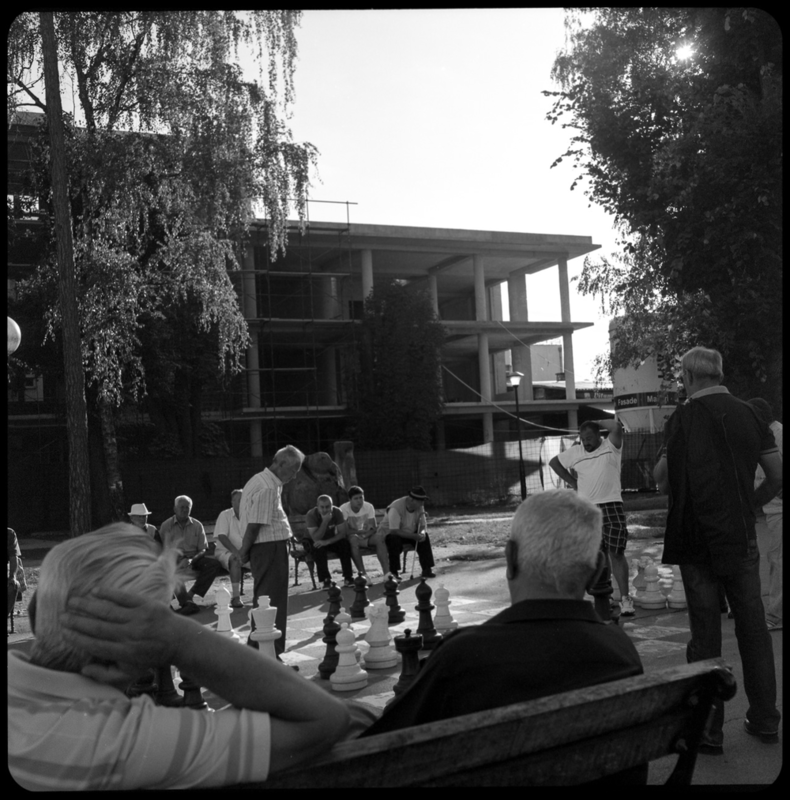 As I walked by a park, I noticed a giant chessboard, complete with giant chess pieces, surrounded by a group of spectators. It appeared as if a chess match was beginning. I approached cautiously, as I didn't want to disturb the spectators and planted myself on a bench. For about 40 minutes, the two opponents battled it out. Everyone was riveted, watching their expressions change from frustration, to confusion, and inevitably to joy, as each opponent maneuvered the pieces around the board. During what I perceived to be a lull in the match, I backed off a bit to shoot some photos of the entire scene. Nobody even glanced in my direction. After the win, the board was reset, and I wandered off in search of more exciting adventures, but nothing will ever top the greatest chess match of all time.